TXDW Opening Party at a Private Home, designed by Laura U. 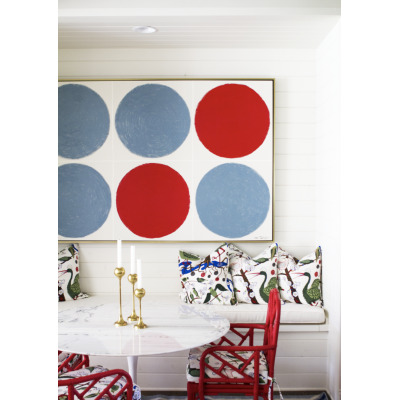 Launch of Olivia + Poppy wallpaper collection. 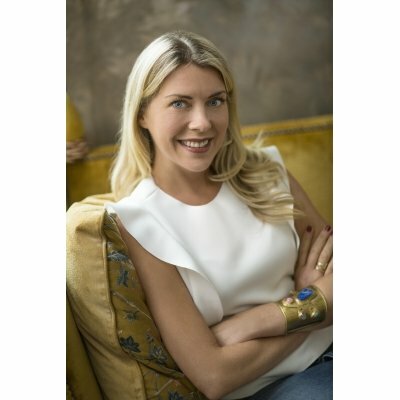 Launch of Olivia + Poppy wallpaper line, hosted by Creative Director Tina Silvestri, and CEO and founder Jamie Graney. VIP Ticket Holders and By Invitation. 10 am Breakfast at The Shade Store. See what's new and power-up before the 11 am Keynote at David Sutherland. The Shade Store: 5120 Woodway Drive, Suite #1070. 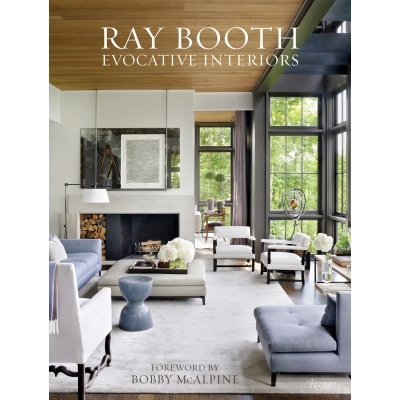 Designer Ray Booth, a partner in the architect and design firm, McAlpine, will discuss his design work, followed by a signing of his new book, Ray Booth: Evocative Interiors. Hosted by David Sutherland. 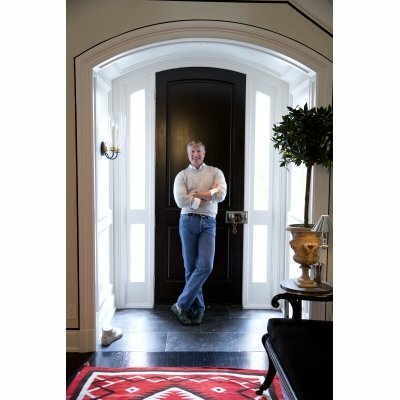 At David Sutherland Showroom: 5120 Woodway Drive, Suite # 170. 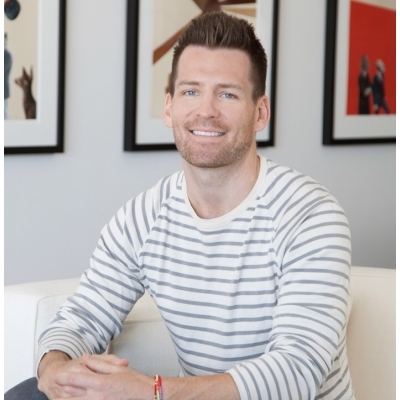 Join wife + husband design team Gen and Benjamin Sohr of Pencil & Paper Co., Nashville, for a lively and entertaining discussion with Bailey McCarthy, owner of Biscuit Home. 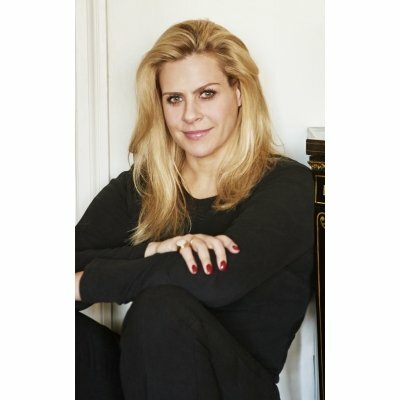 The Sohr's have brought large-scale retail concepts to life for Reese Witherspoon's Draper James stores, Gap, Old Navy, Banana Republic, and more. With 100k Instagram followers, they have a lot to say! At Biscuit Home: 1614 Westheimer. Awards presentation and cocktails at the new Post Oak Hotel, with designer Ray Booth and Gen and Benjamin Sohr of Pencil & Paper. VIP Ticket Holders and By Invitation. All 2018 Houston PaperCity Design Awards entrants will be invited. 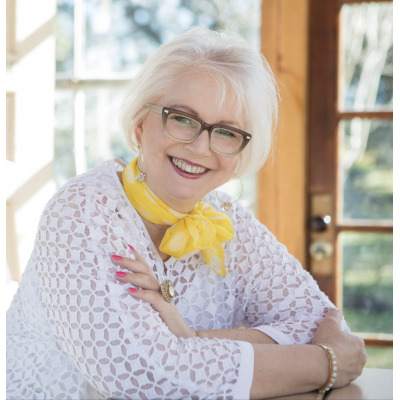 Focusing on new client acquisition, passive income generation and how interior designers can use the tools of online marketing to lead their businesses profitably forward in the Age of Amazon. 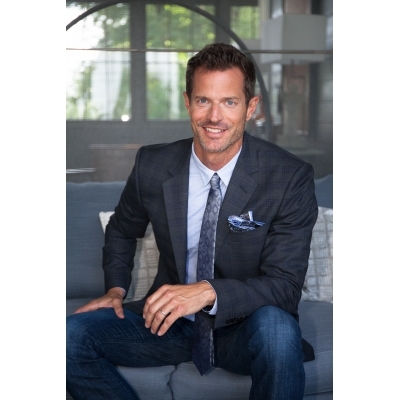 Day of seminars at Office Furniture Innovations (OFI), and includes lunch and valet parking. 11:00 arrival, check in, networking, lunch is supplied. 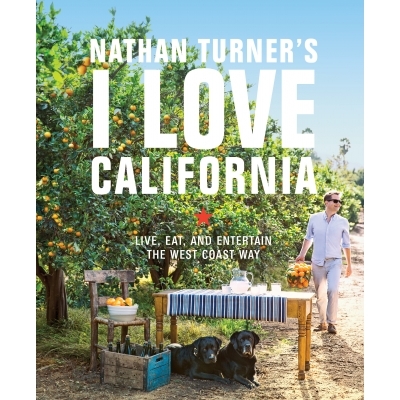 Milieu magazine brings Nathan Turner to Back Row Home for a discussion on his latest tome, I LOVE CALIFORNIA! 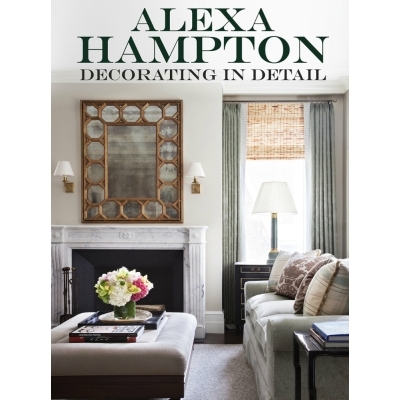 Design Director of Milieu Leslie Newsom Rascoe will have a lively discussion with Nathan Turner. Signing and reception follows talk. Sponsored by Milieu. At Back Row Home: 8570 Katy Fwy, Suite #111. 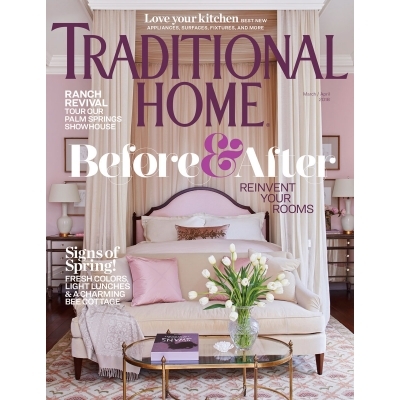 Join designer Corey Damen Jenkins and Tori Mellott, Senior Design + Market Editor, Traditional Home, for an insiders discussion on the business of design. 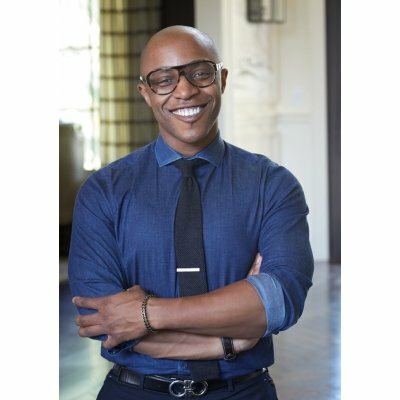 Jenkins’ work has appeared in Architectural Digest, The Wall Street Journal, Veranda, House Beautiful, and he has been honored with Traditional Home’s New Trad Rising Star of Design Award. At JANUS et Cie: 3935 San Felipe. 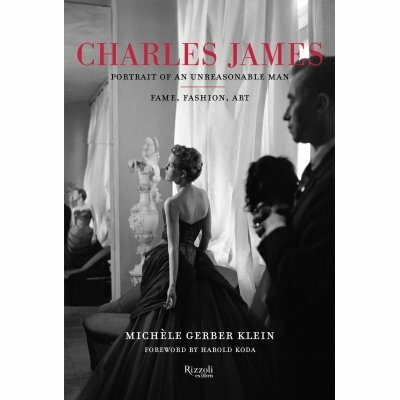 Keynote & Cocktails: Neiman Marcus hosts William Middleton, author of Double Vision: the Unerring Eye of Art World Avatars Dominique and John de Menil and Michele Gerber Klein, author of Charles James: Portrait of an Unreasonable Man: Fame, Fashion, Art. 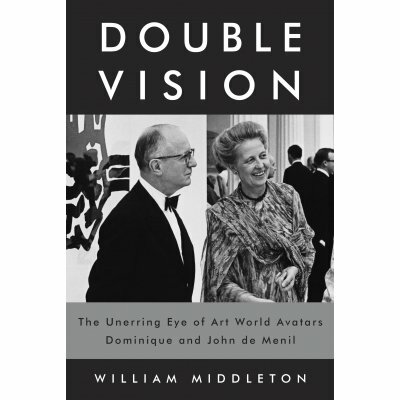 Neiman Marcus hosts William Middleton, author of the new de Menil blockbuster book, Double Vision: the Unerring Eye of Art World Avatars, Dominique and John de Menil, along with Michele Gerber Klein, author of the new book, Charles James: Portrait of an Unreasonable Man: Fame, Fashion, Art. 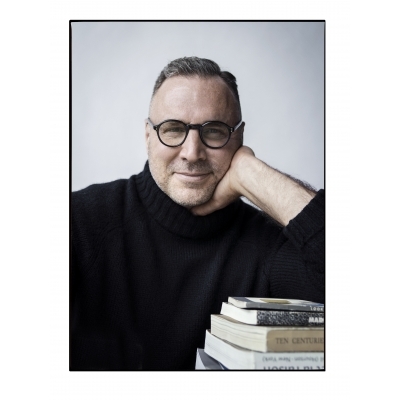 Cocktails, lively discussion, and book signings with the authors. For All TXDW Ticket Holders and By Invitation. *Event is open to the public, as part of DCH Spring Market. Please RSVP through Decorative Center Houston. TXDW VIP Ticket Holders will have reserved seating. TXDW General Admission Ticket Holders are Invited to Attend. 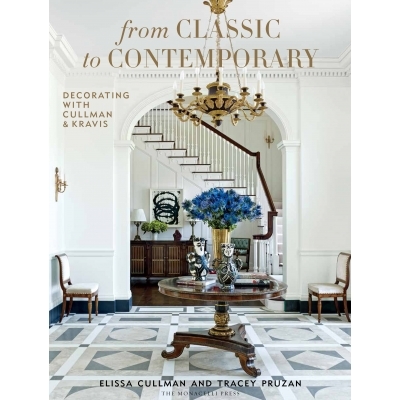 Join Ellie Cullman and Claire Ratliff of Cullman and Kravis Associates, and Marshall Watson and Kate Reid of Marshall Watson Interiors, for an inspiring presentation, showcasing images from their recent books, From Classic to Contemporary and The Art of Elegance. 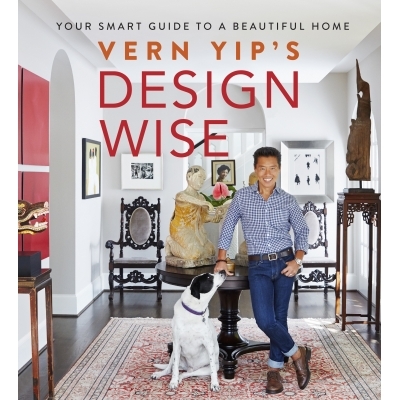 These seasoned professionals will share stories and advice from decades of experience, and discuss design for modern living. Keynote at Decorative Center Houston, 5120 Woodway, First Floor Gallery. 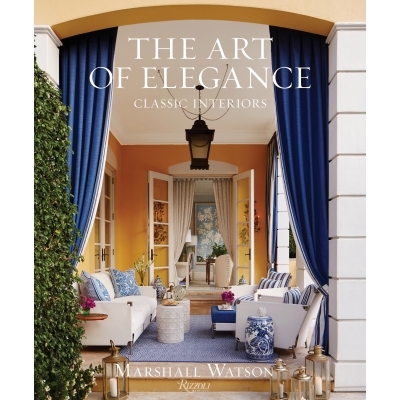 Book signings to follow at Wells Abbott Showroom, Suite 3010. For All TXDW Ticket Holders. LUXE Magazine Program at Stark Carpet Showroom with Tribute Goods. 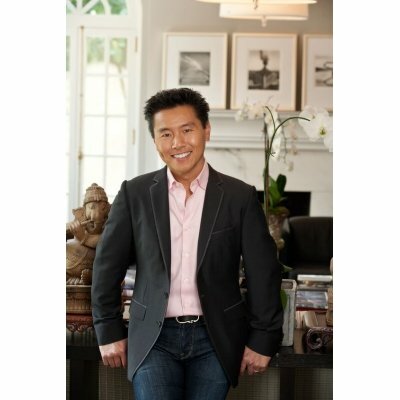 At Stark Carpet, Decorative Center Houston, 5120 Woodway Drive, Suite 1010. Designers Alexa Hampton and J. Randall Powers discuss the importance of lighting in projects, and navigating the licensing process. 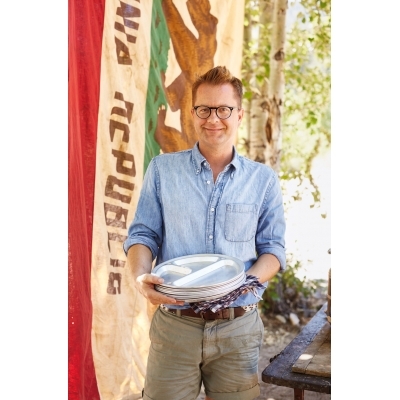 Moderated by Gale Singer and hosted by Circa Lighting. At Circa Lighting and Avalon Diner next door, 2427 Westheimer. 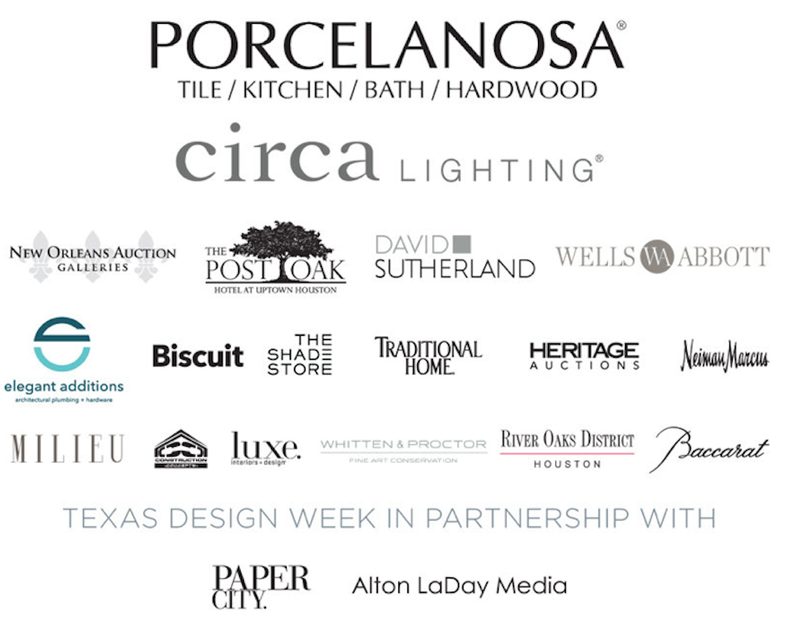 Celebrate Texas Design Week at River Oaks District and the Baccarat Showroom. 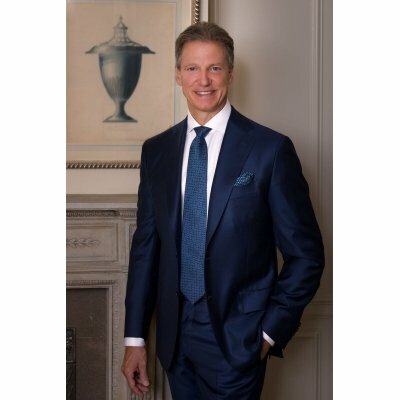 Baccarat co-hosts the closing event with Interior Designer Ben Johnston, with 20% of total sales of the evening donated to Texas Covenant House, which provides shelter for homeless, abused and abandoned youth in Texas. 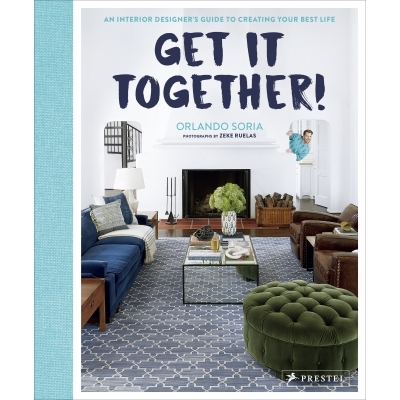 ETRO will also be hosting a book signing featuring Orlando Soria. Hosted by River Oaks District and Baccarat. At River Oaks District, 4444 Westheimer Road.